A healthy home fragrance will introduce a pleasant scent into your home without introducing any health-based concerns. People with allergies or concerns about introducing chemicals into the air that we breathe often wonder whether it is possible to have a healthy fragrance in the home. Unfortunately there isn't a simple answer as the definition of healthy home fragrance will vary very much depending on the individual. For some people, even the most simple and natural forms of home fragrance, for instance a bowl of flowers, can cause a severe allergic reaction. For others even the most harsh of artificial chemically produced fragrances can have no apparent ill-affects. With such a wide variety of needs to take into consideration, buying a home fragrance that is also healthy may seem impossible. A few simple steps can help to reduce any reactions or harmful side effects of home fragrances. One of the best ways to reduce the negative affects of home fragrances is to look for natural options. Therefore look for essential oils rather than fragrance oils. Essential oils are made from distilling petals, leaves, seeds and other natural ingredients, to create a pure oil. This is called essential oil and is different to chemically produced fragrance oils. 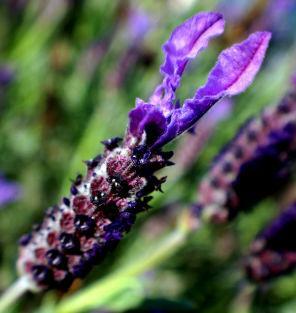 Essential oils are often used in aromatherapy products. Chemically produced fragrance oils, or synthetic fragrance oils, are carefully formulated for use in candles or other home fragrance products, however some of the chemicals may still cause allergic reactions. Natural home fragrance options include candles infused with essential oils, reed diffusers, pot pourri and, of course, fresh flowers. If you are looking for healthy fragrance options, then it is often best to avoid items made with cheap fragrance oils. These may use inferior ingredients or not be made to such a high standard. It is particularly important to make sure that fragrances that are used in products that are used on the skin are of cosmetic quality. Fragrances are used in many other products and not just in home fragrance products such as candles or oil burners. Fragrances can be used in cleaning products and this should also be taken into consideration when you are looking for healthy products. There are many fragrance and scent free alternatives that can be useful for people with an allergy or who have a reaction to particular fragrances. There will be times when even the most natural or gentle of home fragrances causes an allergic reaction. In these instances it is best to look for other ways to help build an ambiance in the home. Many people use home fragrances to mask other odors, for instance to disguise the smell of pets or cooking. Instead of using home fragrance as a mask, keep windows open where practical to ensure that there is plenty of fresh air in the home. This will help to disperse unpleasant odors. Battery operated candles are a good way to add the flicker of candlelight to a room without the fear of a naked flame or smoke which can be a problem for people with respiratory problems. Many people like to introduce dried flowers or other displays into the home as this can help to create an illusion of scented products, without there being any danger of an allergic reaction.